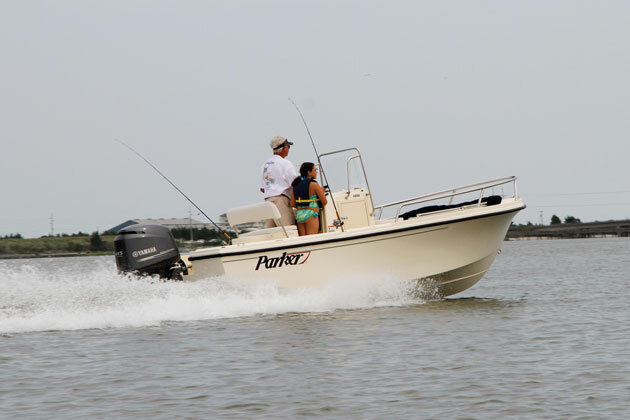 Interceptor boats make it easy to find a serious speed boat that can also serve as a family runabout. 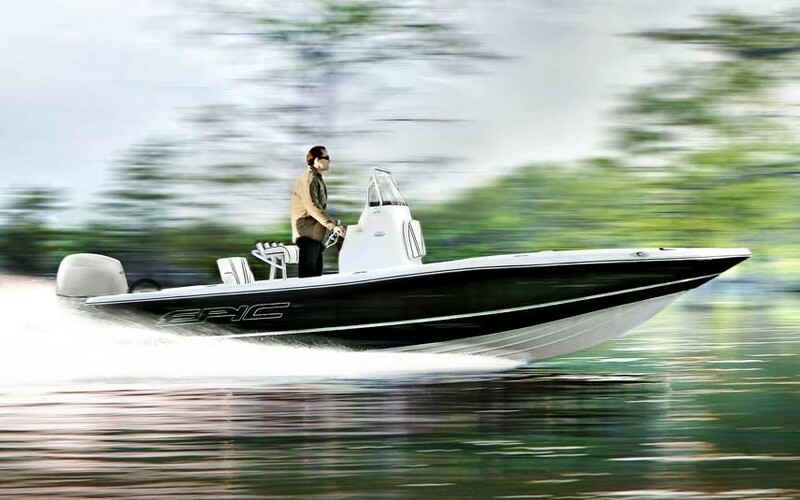 Husbands, here’s a little boat shopping experiment to try: show your wife a dedicated speed boat and see how much luck you have trying to convince her that it would make a viable option for the family. On second thought, don’t try that. Instead, just go to Caravelle’s website and “accidentally” click on the Interceptor button. Then start lobbying to get a 24 PCi. You’ll have much better luck. Here’s why. 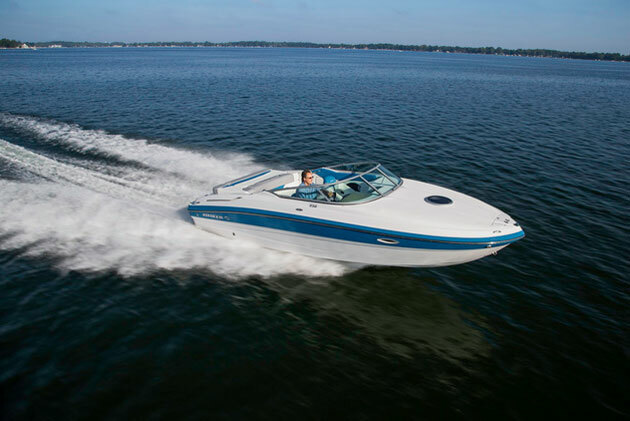 The Interceptor 24 PCi may have all the trappings of a family boat, but yes, it is still a serious speed boat. 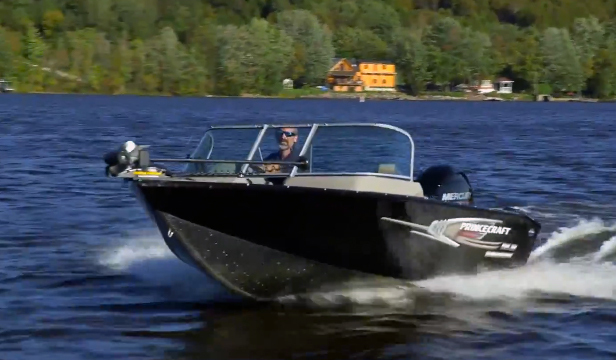 Interceptors are indeed performance boats, but you don’t have to get something that’s 29 or 30 feet long. That’s longer than a lot of families need, but 24 feet? That’s a different story, and it’s right in line with many large runabouts from other more pedestrian manufacturers. In fact, the 24PCi is the largest model in Interceptor’s lineup, yet it has all the right ingredients for any family. For starters, it has a conventional cockpit, with twin front buckets and a rear bench. It also has a walk-through to the generous transom and extended swim platform. There’s stowage beneath the walk-through, and a concealed telescopic swim ladder on the swim platform. The sun pad over the engine compartment is fully upholstered and roomy enough for a couple of kids. Inside the cockpit, the gunwales are nice and high, which is always comforting when kids are on board. There are grab handles and cupholders and a nonskid floor with optional snap-in carpeting. Inside the fully carpeted cabin, there’s a small V-berth plus more stowage and a small head compartment, which takes care of those “can’t wait” moments. 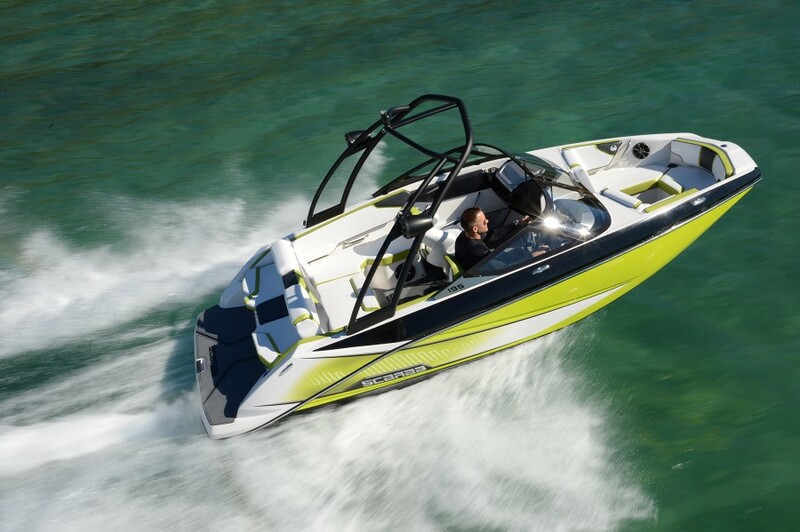 Zero Effort throttle/shift delivers more control, and the feel of a true speed boat. But here’s where it gets zoomy. Under the hatch lies MerCruiser’s 350 Mag MPI, a 300-horsepower small-block V8 plenty capable for a 3,900 pound boat. At the helm, you get black-on-white Faria gauges set in a faux carbon fiber panel with similar panels for the switches and the glove box on the port side. Yes, it’s faux carbon fiber, but it looks so much better than faux wood. The sporty steering wheel set on a tilt column complements the performance look of the dash. 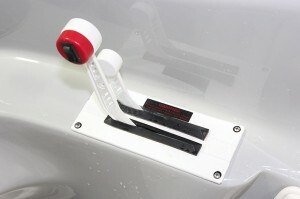 Adding to its performance pedigree is the use of Mercury Racing’s Zero Effort throttle and shifter. By separating the shifting function from the throttle lever, you have superior control over the engine and drive trim settings. Once you use them, you’ll never want to go back to a single lever setup. Captain’s Call exhaust is optional, which is probably the right call. It might be easier to get your wife to go along with an Interceptor if she doesn't have to listen to all that racket. 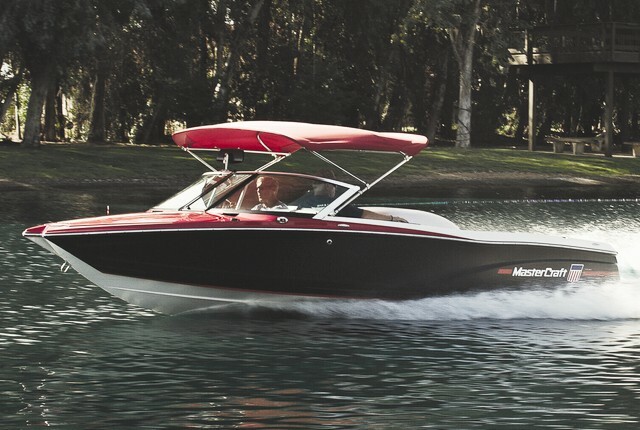 Buyers get a choice of solid red or solid while hull and deck gelcoat, both of which come with the Interceptor graphics package, which perfectly straddles the line between tasteful and excessive. The price is right in line with most 24-foot family runabouts, too. Base MSRP is around $44,500, which is almost unheard of in the performance market. There’s a lot for everyone in the family to like about the Interceptor 24 PCi. As the old saying goes, you could pay more, but why would you? For more information, visit Interceptor.